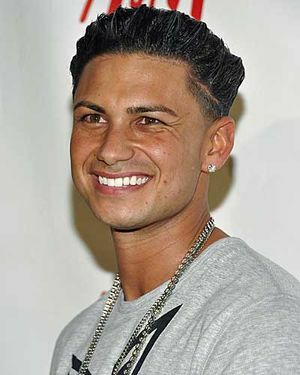 DJ Pauly D Gets his own SHOW! Unless you’ve been living in a cardboard box (some people do) for the past couple of years, you know who this man is. Well apparently now he’s getting his own show! MTV programming executive Chris Linn says that fans of the hit reality show Jersey Shore are really interested in Pauly D’s life outside of the original cast. Currently the new spin-off is messing around with the title ” Pauly’s World”. The new show will be following Pauly D and letting his fans see the DJ aspect of his talents. Could be a pretty cool show, letting us see how good of a DJ he actually is. I’ve heard rumors that he’s gotten signed by Hilton Hotels and DJ’s their events which probably isn’t too bad of a gig. Looking forward to see how this one works out. Ronnie From Jersey Shore goin’ to Prison? Remember the last season when Ronnie ” One shotted” some dude on the streets? Well it has come to face the judge and he has been charged with 3rd degree assault which could have him sitting in the box for up to 5 years. He’s a celeb now so he won’t get that much time and hopefully he can fight the case more, but here’s footage or Ronnie’s case and the evidence held against him. Stephen Izzo, you got dropped for talking sh*t, face the facts and don’t be a little snitch. Of course he went to court with this, Ronnie embarrassed him on live national TV and now he wants payback. You should of stayed face down on the pavement where you belong.